In a summer transfer filled with big names like Bernd Leno, Lucas Torreira, Sokratis Papastathopoulos, and Stephan Lichtsteiner, Matteo Guendouzi was sort of a surprise transfer perhaps for many Arsenal fans, who probably have never heard of the young midfielder who has been likened a lot to Paris Saint-Germain’s Adrien Rabiot. Guendouzi, who was 19 years of age at the time, rejected offers from big teams like Paris Saint-Germain and Borussia Dortmund to sign for Arsenal, the team which is recommended by former Arsenal and Lorient striker Jeremy Aliadiere, and indeed his move to the London team has so far proved to be a correct decision. Matteo Guendouzi’s €8million transfer to Arsenal seems to be overshadowed by the huge hype surrounding the transfer of another exciting central midfielder who has shown a lot of promise since the 2017/18 season and also impressed in the 2018 FIFA World Cup in Russia – indeed, it’s Lucas Torreira from Sampdoria who signed for a fee of around €30million, and the two midfielders arrived at Emirates Stadium and had their medicals at the same time, but it was clearly the Uruguayan who was in the limelight, making the transfer of the 19-year-old French midfielder as if it was somewhat less important than the former, but truthfully they were all the same. Arsenal did two good businesses and drove hard bargains for the two talented midfielders. Fast forward several weeks later and we are yet again given another surprise. Matteo Guendouzi has now started in all 4 Premier League games for Arsenal, keeping the highly-rated Lucas Torreira on the bench, usually pairing with Granit Xhaka in the defensive midfield berth. Many would expect the 22-year-old Uruguayan would get more game time at Arsenal ahead of Guendouzi. But Emery preferred to play the young French starlet instead. Matteo Guendouzi actually has a theory for this. He said in an interview (according to reports from The Daily Mirror) that his brilliant pre-season form is the reason behind Emery’s preference to pick him over Lucas Torreira at the heart of Arsenal’s midfield. But besides that reason, many people would also agree that Guendouzi absolutely deserved his place in the first team after watching his last 4 games in the Premier League for Arsenal (and perhaps also watching old videos of him when he still plays for Lorient). The 185cm (6ft1) tall, right-footed midfielder, has everything you need for a midfielder. He is complete in every way – and though he still has to develop several aspects of his game, we should know that he is still young and still has a lot of time to develop and a long way to go. Matteo Guendouzi is a technically sound midfielder, as shown by how he controls and dribbles the ball. He is also young but very composed, he likes to stop the play and hold the ball – showing his outstanding playmaking ability and he is also able to get out of opposition pressure most of the time and this actually proves to be a very important aspect as a midfielder playing in the Premier League. He possesses decent pace, he is quick enough to chase the opposition to win the ball back after he or his teammate lost it. The 19-year-old former PSG youth player is also an intelligent game reader and an excellent ball-winner – combined with his outstanding eye for a pass, his ability to distribute the balls accurately, and his seemingly endless stamina, he could be a pivotal player for any team. The Arsenal youngster also has a decent long shot and likes to try from some way out. There is an aspect of his game that many people think should be improved. That is his strength. He seemed pretty weak in aerial duels, winning only around 30% of them per match and he also seemed to be unable to protect the ball and hold the opposition off for too long as he usually got overpowered and lose the ball in the end, but he compensated it with his willingness to fight and win the ball back. Matteo Guendouzi is a young talent who has it all. He has the skills and he still has time to develop at Arsenal. He looks promising and under the tutelage of Unai Emery, there is little doubt that he could realise his potential. 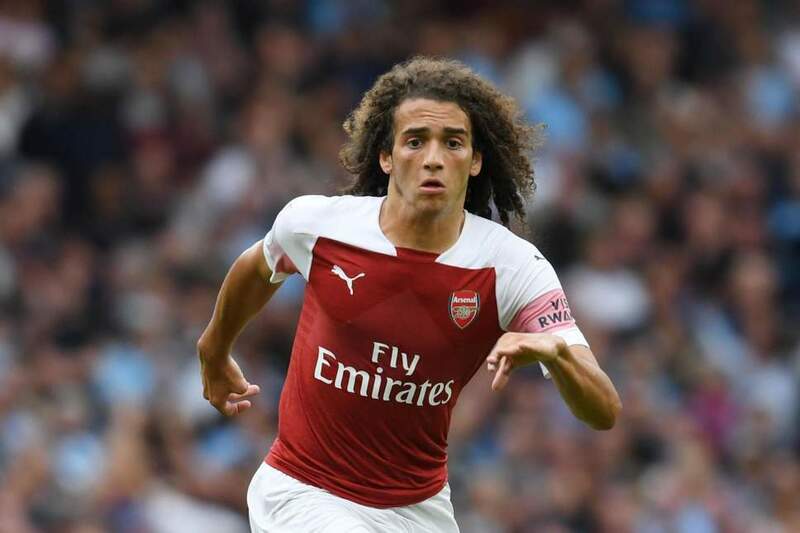 Guendouzi has surprised us all so early in this season and nobody knows what kind of surprises that he would hold at the end of the season. Next Post Next post: Will Leeds United make their Premier League return this season? Will Leeds United make their Premier League return this season?